A self-timer is a mechanism built into the shutter release of a camera (or an add-on accessory), which is used to trigger the shutter after a set period of time - allowing the photographer to be in the picture, or to avoid vibrations introduced by fingers. 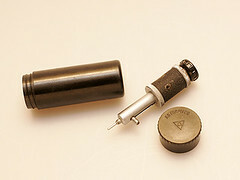 Older mechanical self-timers, such as those on old Leicas, typically employed some sort of a resistance coil. 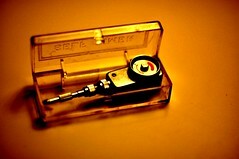 The user would pre-wind the coil to load it with tension, and then it would unwind. When it finished unwinding it would trip the shutter release. 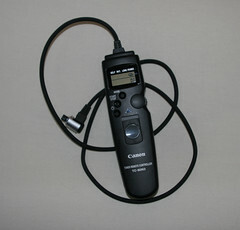 Modern electronic cameras use digital timers. Most digital timers have a set time (eg, 10 seconds) which counts down, giving beeps or flashing LEDs as warnings, and then trips the shutter. Some electronic cameras offer the ability to select a desired length of time. This page was last edited on 7 January 2013, at 18:01.